Home » NEBRASKAland Magazine » It’s On! 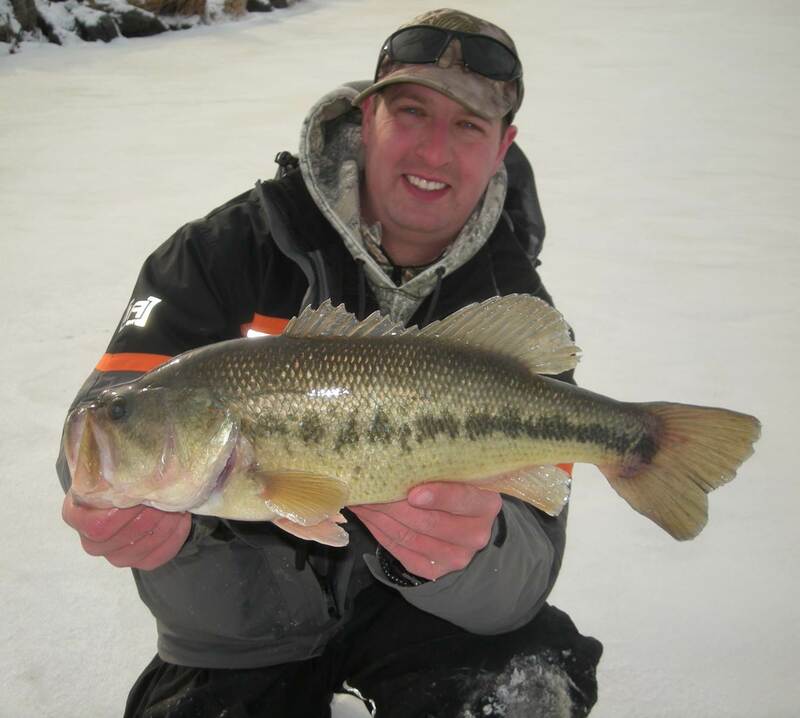 Just want to get a quick blog post up today and say that we’ve got ice and our ice-fishing season is “on”! My “New Year’s Day 2018” was deep in the Nebraska sandhills. I see these news stories about New Year babies and so forth, well here’s mine, first fish of the year! 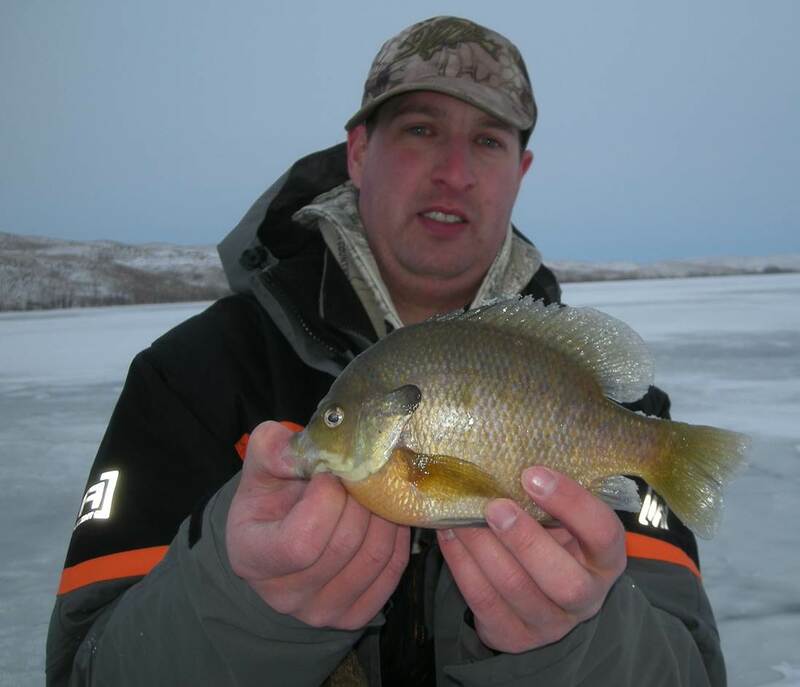 My son and I have an annual quest for at least one 10-inch and larger bluegill each ice season. We got a great start on that! But, we both have a few more fractions of an inch to go! In the few trips we have been out to this point, largemouth bass, bluegill, yellow perch, channel catfish and white crappies have peaked up through our ice holes. We are working on more. Not a single fish has gone home with us yet this winter (Piles of Panfish). Our recent warm-up has made for some wet conditions on top of the ice, but where I have been, the ice is holding up, no problem. I have been drilling up to 13 inches of ice. 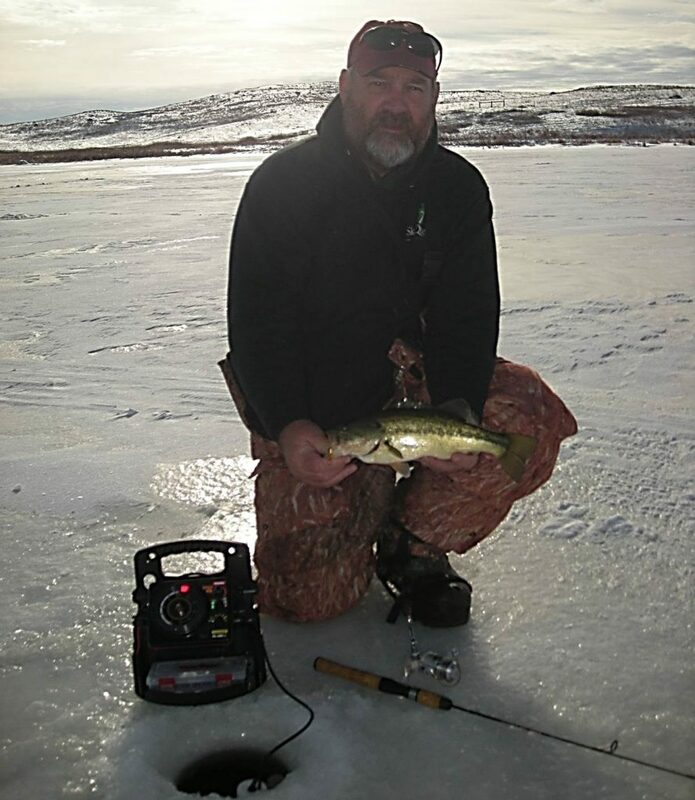 From what I have seen, the bite has been typical for first ice, fish have been relatively active and easy to catch, last light has definitely been best. However, on some popular spots the ice is already looking like Swiss cheese and guess what? The bite is getting tough on those spots. Sure, start where you caught fish on the last trip, but don’t get anchored on your bucket in one spot–hot spots, hot bites get burned really quick in this age of cell phones and the internet. It continues to amaze me with the technology and equipment available to ice anglers today the number of guys I see walk to one spot, drill holes, then sit and fish that one spot whether they are catching fish or not. A few hours later they pick up their stuff and quit concluding that the fish just were not biting if they did not catch any. BALONEY. 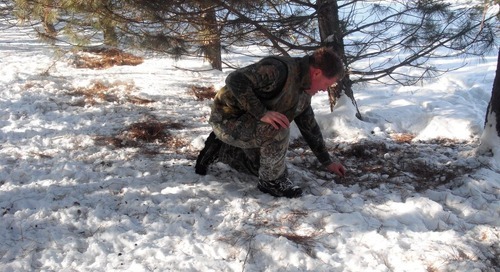 Some times you just have to go find ’em, keep drilling, keep looking. Yesterday’s bite will NOT necessarily be today’s bite. Later, I gotta get back to it! The post It’s On! appeared first on NEBRASKALand Magazine.